User Experience (UX), User Design, User Interface (UI), Human-Computer Interaction (HCI), Human-Centered Computing: as an emerging field, Usability still goes by many different names. They are not all precisely the same, but many are used interchangeably. They are all names for what may be the most exciting new area of computer science and engineering – the space where humans and computers come together. Just what constitutes UX Design is still very much in the air, as the many names associated with the field suggests. According to the User Experience Professionals Association, “User experience design as a discipline is concerned with all the elements that together make up that interface, including layout, visual design, text, brand, sound, and interaction. UE works to coordinate these elements to allow for the best possible interaction by users.” What it boils down to is this: there are a number of computer scientists, designers, and engineers who are primarily concerned with how human beings interact with computers, and how they, in their role as creators, can make that process more seamless, efficient, and productive. What is clear is that, whatever it’s called, UX Designers are highly in demand on the job market, with the phrase “designer drought” coming up frequently in publications dedicated to UX design. And while some companies are beginning to develop in-house training and internships in usability, many forward-thinking colleges and universities are taking up the task of preparing students for work in user design. These programs may be housed in computer science, psychology, engineering, or more surprising places – wherever there are a few faculty members ready to take it on. Most grad programs are intended for those with basic computer programming or coding knowledge, but being an emerging, interdisciplinary field, UX programs are filled with graduates from all kinds of majors, from business to engineering to the humanities. While UX Design is still relatively new, many industries don’t necessarily require a master’s degree in the field to get a job. But choosing a residential graduate program offers many advantages on the job market, not the least being networking opportunities, access to internships, and the proof of a credential that others may have earned on the job. There are relatively few dedicated UX or HCI majors; most degrees are Computer Science or Information Science with a specialization or concentration. Cost, of course, is a concern for most working professionals returning to school to develop a new credential, as well as for first-generation and underprivileged students seeking entry into the professional world in a wide-open field. That’s why Value Colleges has compiled this ranking of the Best Values in UX Design Master’s Programs. In a new field, with little hard data and information to go on, prospective students may feel lost; with the guidance of a Best Value ranking, you can be sure that the degree program you choose will pay off in the long run. Our formula gives the best combination of quality and affordability as determined by reputation, ROI, cost, and other factors. We let you know, once and for all, which degrees are worth their cost, and which are worth their weight in gold. The Massachusetts Institute of Technology, of course, has set the standard for polytechnic education in the US since the 1860s. As a pioneer in computing, with a reputation as one of the most entrepreneurial universities in the world (students and faculty starting businesses, frequently building on their work in school), it’s no surprise that MIT would also be a leader in the emerging field of UX Design. Graduate students in the MIT Media Lab are motivated and inventive, from backgrounds as varied as arts and music to computers and engineering, creating projects to solve problems and change the world. 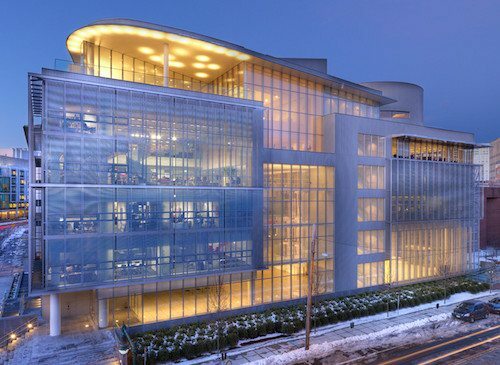 MIT is obviously highly selective, but for those who make the cut for the Media Lab, research is fully supported – no one needs to spend a dime on what may be the finest education in the field, with an ROI of over $800,000. Founded by industrialist and philanthropist Andrew Carnegie – whose passion for education is reflected in the number of libraries and institutions bearing his name – and the Mellon family – wealthy bankers and businesspeople who began the Mellon Institute of Industrial Research – Carnegie Mellon University is another institution synonymous with the polytechnic model in the US. 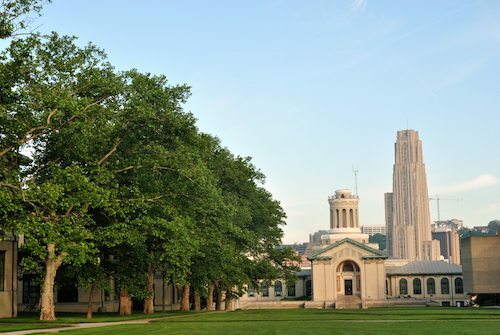 Carnegie Mellon’s Masters of Human-Computer Interaction is the oldest graduate program of its kind, begun in 1996, and one of the standard-setters for what would become known as UX. Students in the HCI program work in teams with industry partners to develop hands-on solutions to problems, focusing on the way humans and computers work together. The program is a 12-month intensive master’s degree. 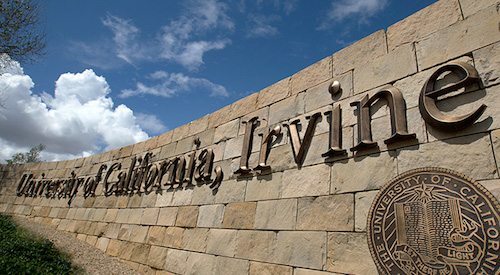 Considered a Public Ivy (a public university with the reputation of the Ivy League), UC Irvine is a relatively young institution, opened in 1964, but in that period of time it has grown into one of the most respected and highly-ranked universities in the US. Irvine is known primarily for its engineering and computer science excellence, with numerous corporate partnerships in Orange County and Southern California, giving students great opportunities for research and employment alike. The Department of Informatics offers a highly-regarded graduate program in Human-Centered Computing, with collaboration and cross-disciplinary cooperation from numerous other departments and schools. With a respected faculty, and a high level of freedom, graduate students at UCI are prepared for success and a high ROI. One of MIT’s few rivals for the greatest technical institute world-wide, Stanford University is most notable as the birthplace of Silicon Valley, as Stanford attracted and fed numerous tech companies in the area beginning as far back as the 1940s. Today Stanford, for obvious reasons, is one of the most desired educational destinations for computing students, and they continue to innovate and experiment. One such site for bold exploration is the Symbolic Systems Program, an inter-disciplinary program pulling together faculty from computer science, psychology, linguistics, and more to lead graduate students in study of how the human mind and computers influence and shape each other. It’s pioneering work related to UX Design, and Stanford’s high ROI and connections to the hub of technology in Silicon Valley means limitless career potential for graduates. 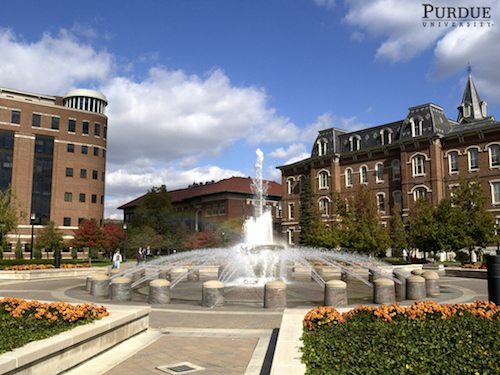 As a land-grant public university in West Lafayette, IN, Purdue University was founded in the 1860s to provide an accessible and affordable education in agriculture, engineering, and technology to the people of Indiana. Not surprisingly, this commitment to technology and industrial education came in include computer science as computing emerged and matured, and today Purdue is known for their technological and entrepreneurial innovations. The Purdue Polytechnic Institute houses many of Purdue’s technology programs, including the MS in Computer Graphics Technology, a program that allows graduate students to concentrate in human centered design and development. For a public university that combines affordability with globally-recognized excellence, Purdue offers the definition of a great value. 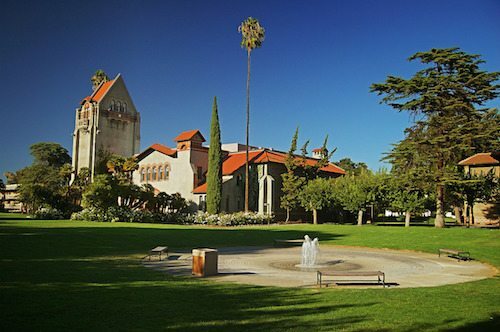 The oldest public college or university in the west, San Jose State University, in San Jose, CA, holds its own with the top private and public computer science programs in the world. Ranked at the very top of computer engineering schools by U.S. News & World Report, San Jose also has more graduates hired by Silicon Valley companies than any other single school. While the big names like Stanford and MIT get the attention, San Jose gets the job done. Graduate students interested in UX Design will want to check out San Jose’s Master’s degree in Human Factors and Ergonomics, a flexible, interdisciplinary, exploratory program that allows students to customize their focus. With the affordable tuition rates of the California State University system, San Jose State is a bargain. 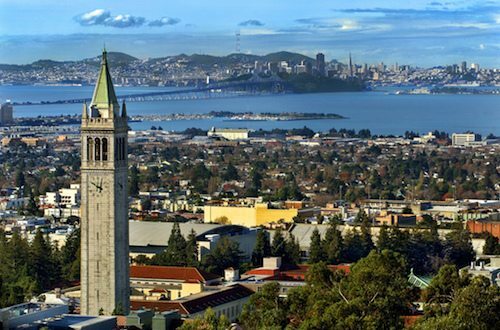 Widely considered the finest public university in the US, if not the world, the University of California, Berkeley, has a highly productive research faculty and a reputation for innovation and leadership. The School of Information, Berkeley’s youngest school, was founded in 1994 to address the rapid changes in information systems and computer science, and thanks to its proximity to the Bay and Silicon Valley has links to some of the most important information technology companies in the world, including Google, Linkdin, and more. The I School offers a two-year master’s degree in Information Management and Systems that draws on interdisciplinary research and prepares graduates for the future of tech. Georgia Tech has been the foremost name in polytechnic education in the south since it was founded during Reconstruction to drive the transition from an agricultural to an industrial economy. As the only school in the south to rival MIT and Stanford, the Georgia Institute of Technology has a major role in making Atlanta, GA, a world-class city for technology and industry, a significant factor in bringing young engineers, computer scientists, and researchers to the area. For aspiring UX designers, Georgia Tech offers a Master of Science in Human Computer Interaction. With Atlanta’s excellent job market and Tech’s high ROI, it’s an investment sure to see dividends. 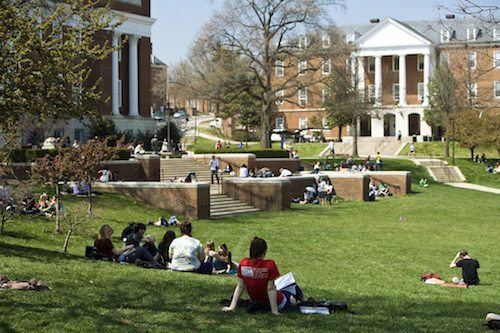 The definition of a Public Ivy, the University of Virginia has a historical reputation in line with Harvard or Yale, along with a public university’s commitment to providing education to a wide range of peoples. And while tech isn’t the first thing most people think of when they think of UVA – alma mater of leaders, politicians, businesspeople, and first-rate scholars – UVA’s computer science and engineering is exceptional. The Department of Systems and Information Engineering offers a master’s degree in Human Computer Interaction that draws from UVA’s acclaimed engineering, psychology, and design programs for a deep, thorough advanced study. 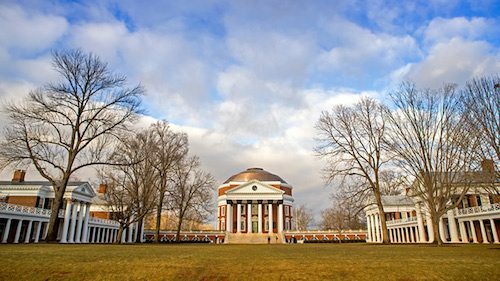 UVA connections and reputation mean a strong step into the job market, making a degree from UVA a classic value. Between the California State University system and the University of California system, California may have the most impressive public higher education system in the world. CSU Long Beach is renowned as one of the most diverse and ambitious schools in the system, drawing students of all classes and races from Orange County and across California. In keeping with the interdisciplinary nature of UX design, Long Beach offers a Master of Science in Psychology with a specialization in Human Factors. Students are steeped in everything from human-computer interaction to engineering and psychology for a degree that can take them into nearly any industry. Long Beach’s special characteristics make it ideal to round out the top 10 best value ranking. 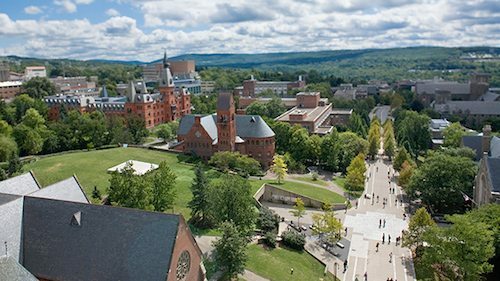 Cornell University, in Ithaca, NY, is unique among the Ivy League, as a private university that is also a federal land-grant institution, with four of its colleges publicly supported. That special distinction sets it apart from its Ivy League compatriots; it is the youngest of the Ivy League, formed after the Civil War with a focus on technology and industrialization, and that commitment continues today. Cornell’s Department of Information Science offers an unusual one-year Master of Professional Studies degree in Information Science, a professional degree that prepares graduates for work in tech and business, including UX Design. As with many Ivy League schools, any student who can make Cornell’s tough admittance standards can expect their tuition to be paid, making Cornell a perfect investment. Like a number of polytechnic schools in the west and Midwest, Michigan Technological University was actually founded as a mining school, educating mine workers in the late 19th century. Not surprisingly, over the years Michigan Tech’s focus has grown to encompass engineering, science, and business, making it one of the top colleges in the Midwest region. Michigan Tech’s Department of Computer Science offers a Master of Science degree in Computer Science, a program in which students can choose a concentration in human-computer interaction, complete with an HCI lab. As a public university, Michigan Tech keeps tuition reasonable, and an excellent education provides graduates with career opportunities in a variety of specializations. 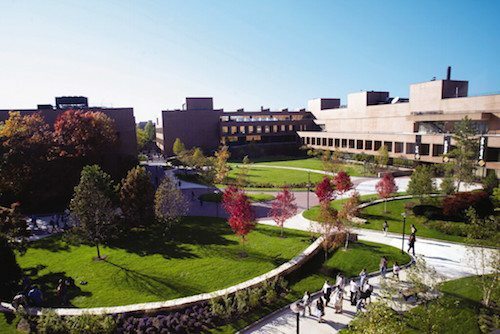 The Rochester Institute of Technology, in Henrietta, NY (a suburb of Rochester) is part of the elite ranks of private American polytechnic institutes like Rensselaer, MIT, and others founded in the late 19th century to bring European-style scientific and technological education to the US. Besides their educational model, these institutions have one thing in common – high ROI and reputation. RIT offers a Master of Science in Human Computer Interaction in which students learn the cutting edge of UX design, computing, and theory, preparing for the kind of career a degree from a leading institution like RIT can open up. A private university in Waltham, MA, Bentley University was founded as a business and accounting school and retains that focus today, with an emphasis on technology in business and industry. Bentley promises students the latest and most up-to-date knowledge in business technology, a promise backed up by its innovative degree programs, such as the Masters in Human Factors in Information Design. Bentley’s program focuses on UX Design even more specifically than many other programs, giving students a clear direction into the future of their career, and Bentley carries an average ROI on par with the Ivy Leagues at $650,000. 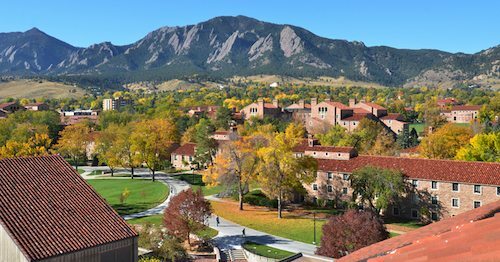 One of the premiere public universities in the west, the University of Colorado – Boulder has a reputation as one of the most innovative, bold, and experimental institutions around, as well as one of the coolest. That reputation extends to Boulder’s computer science programs, some of the most respected in the nation. The Department of Computer Science at CU Boulder boasts a pioneering program in Human-Centered Computing, with a dedicated faculty and several labs and centers focused on HCI. Boulder’s Human-Centered Computing program allows students to do research across disciplines and fields of study, from health to gaming, for a flexible, human-centered value. 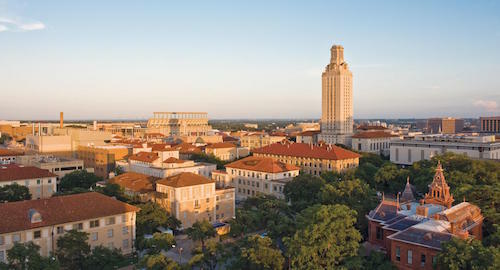 The coolest college town in America – give or take a handful of competitors, none of which can claim Willie Nelson – Austin, TX has also become renowned as a tech hub in recent years, and that growth has been partly driven by, and driven, the University of Texas’ computer science and tech programs. The School of Information – evolved from the School of Library Science – offers a Master of Science in Information Studies that is interdisciplinary, in-depth, and innovative. It’s also a top value, thanks to the public UT Austin’s commitment to making tuition affordable. 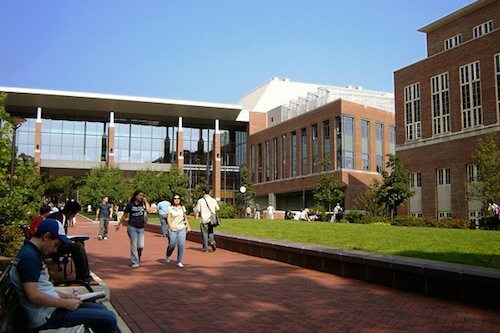 Located in Ann Arbor, one of the most loved college towns in America, the University of Michigan is one of the most productive and respected public research universities in the US, especially in STEM fields. That includes the School of Information, one of the first of its kind, and its Master of Science in Information program, which includes a specialization in Human Computer Interaction. Michigan’s many corporate partnerships means ample internship opportunities for students, as well as a job placement rate of 98%, making a degree from the University of Michigan pretty close to a sure thing. Like Michigan Tech, the Missouri University of Science and Technology was founded as a mining school, and it too has grown into one of the leading STEM schools in the Midwest, with its engineering programs consistently ranked at the top regionally and nationally. Missouri S&T’s department of business and information technology offers a Master of Science degree that allows a concentration and certification in Human-Computer Interaction. This degree is primarily focused on the electronic, online experience of users in a business context, and prepares graduates for careers mediating between technology builders and users. By some measures the leading research institution in Virginia – a state known for its higher education system – Virginia Tech is a public, land-grant university that rivals Georgia Tech as the south’s most respected polytechnic-model school. Engineering and computer science drive Virginia Tech’s modern programs, and the Center for Human-Computer Interaction is at the forefront of studies in UX Design and ergonomics. Students at Virginia Tech can earn a master’s degree in computer science with an optional certification in HCI, from an institution whose reputation is a major advantage on the job market. The University of Maryland, College Park, is the leading research university in Maryland, and the largest in the Washington, DC metro area. UMD’s proximity to DC is its most significant advantage, as the university has been able to establish significant partnerships with the federal government and its agencies, including the NSA, Homeland Security, and the IRS. These partnerships are especially important to the computer science programs, such as the College of Information Studies, which offers a Master of Science in Human-Computer Interaction. Exceptional access to internship and employment opportunities make UMD’s reasonable public tuition an exceptional value. 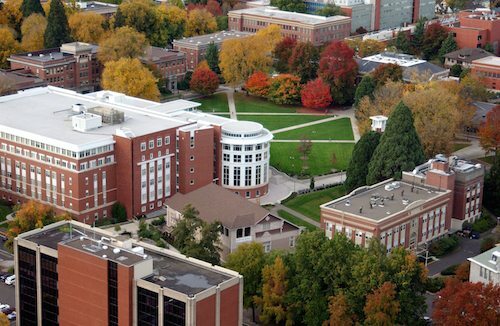 One of the top research institutions in the Pacific Northwest, Oregon State University is known for its College of Engineering, a significant level of research production, and its location in a popular college town, Corvallis. Students in the department of Electrical Engineering and Computer Science can choose to concentrate their research and coursework in Software Engineering, Human-Computer Interaction, and Programming Languages, with a strong focus on hands-on, collaborative research. OSU’s location in the Pacific Northwest means graduates are a short distance from the tech industries of Portland and Seattle, making employment a near-guarantee. 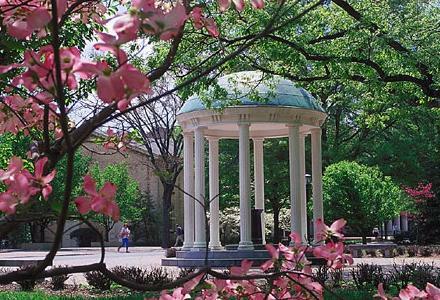 One of the original Public Ivies, the University of North Carolina at Chapel Hill has a reputation that stands head and shoulders above other public universities. For quality of education and job-market advantage, few public institutions can match UNC’s value. The School of Information and Library Science offers a Master of Science in Information Science degree that includes a specialization in Human-Computer Interaction. High marketability and a reasonable public-university tuition rate makes UNC-CH a top value. Pennsylvania State University has no shortage of accolades – a U.S. News & World Report top 20 public university, a Public Ivy, and one of the largest student bodies in the nation, drawn by a global reputation and affordable tuition rates. Penn State’s College of Information Sciences and Technology offers a Master of Science degree in IST that can include a specialization in Human-Centered Design. With Penn State’s reach and reputation, graduates can expect a robust ROI and a strong presence on the job market, making a degree from Penn State an investment. Clemson has made great strides in the last decade, expanding and improving its graduate programs exponentially in an ambitious bid to make Clemson a top 20 public university, a goal that has been nearly accomplished after rising to 21 on the U.S. News & World Report ranking. Clemson’s computer science program offers a master’s degree with an option to specialize in Human-Centered Computing. They also offer a Ph.D specifically from the Human-Centered Computing academic division. It’s a program of the future from a school on the rise, an investment sure to pay off in a big way. 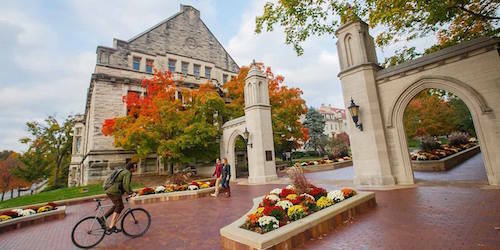 A top public research university, and a perpetual best value, Indiana University – Bloomington has some of the finest business and engineering programs in the Midwest, distinctions that show in IU’s School of Informatics and Computing as well. IU’s informatics and computing program is recognized as one of the best in the nation, with one of the most productive faculties in the field. Graduate students can earn a Master of Science in Human-Computer Interaction Design, a 2-year graduate program that prepares students for work in a variety of fields. Northeastern University, a highly productive, globally-recognized research institution in Boston, MA, is known for its model cooperative education program, the largest in the nation. By alternating coursework and experiential learning in a professional setting, Northeastern both prepares students for work in their field, and gives them access and entry into professional life. Northeastern is a research powerhouse, including a robust Human-Computer Interaction research group and a MS in Computer Science degree that offers a concentration in HCI. The University of Washington is located in Seattle, WA, placing it square in one of the world-wide hubs of the tech industry. Not surprisingly, U-Dub has a research budget of well over $1 billion and a computer science program that rivals any major research institution, whether public or private. Graduate students can earn a Master of Human-Computer Interaction and Design, a cutting-edge, intensive 11-month program that draws on the expertise of multiple departments and disciplines, with students from a variety of experience. UW is also home to the UW School of Art + Art History + Design, with a 2-year Master of Design program blending theory and design practice. Students develop individualized research agendas and courses of study that cross different departments within the UW community, including the College of Engineering, the Department of Biomedical Informatics, the Department of Psychology, the Department of Communication, the School of Nursing, and the Business School. And of course, armed with either graduate degree, students can expect a substantial advantage on the job market of Seattle and the Pacific Northwest. 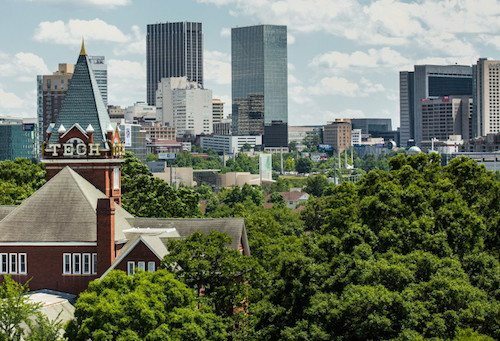 Part of the prestigious UNC system, along with flagship UNC Chapel Hill (#22), UNC Charlotte is located in Charlotte, NC, one of the fastest-growing major cities in the US thanks to its banking and business sector. That growing market places a lot of demands on technical education, and UX Design is a highly-sought area of expertise, leading UNCC to offer Human-Computer Interaction as a concentration in its Master of Science in Information Technology degree program. With the job market in Charlotte, a computer science degree from UNCC will show results. 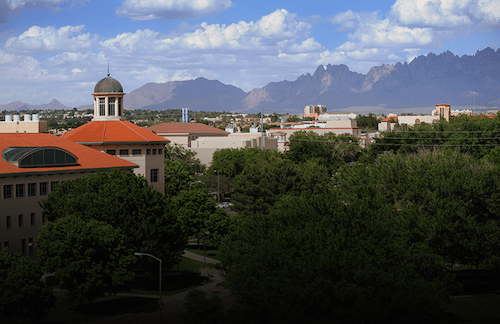 While sister institution UT Austin gets the most attention, UT El Paso has made significant strides in research and education, especially for Hispanic students in the sciences and engineering. That includes computer science, and the UTEP Computer Science Department offers a number of graduate degrees in a wide range of specializations, including Interactive Systems, also known as Human-Computer Interaction. With low tuition rates and the accessibility of a public university, UT El Paso is making the future of computing and technology by bringing education to populations usually ignored by higher education. One of the most respected public research institutions in the US – a Public Ivy located in a legendary college town – the University of Wisconsin, Madison also boasts an impressive, top-of-the-line Human-Computer Interaction lab that accepts students for study from three departments. Students from the Department of Computer Sciences, the Department of Psychology, and the Department of Industrial and Systems Engineering are all welcome to research and concentrate in Human-Computer Interaction, a program emphasizing robotics and human connection to technology. It’s a program on the forefront of the field, that graduates will appreciate and benefit from for a long career. Founded as a land-grant institution, Iowa State University made accessibility and affordability part of its mission from the very beginning, as it was coeducational from the first and dedicated to making education available to all in Iowa. Iowa State is also making its name in human-computer interaction, with the Virtual Reality Applications Center, an interdisciplinary research center that offers a Master of Science degree in Human-Computer Interaction. With Iowa State’s well-known value, a degree in the cutting edge of tech is a clear investment. Less known than some of the larger institutions in the area, Philadelphia University has begun making a name for itself in recent years with its innovative cross-disciplinary curriculum, Nexus Learning. Originally a textile school, Philadelphia University is known for top-quality engineering and technical programs, including a Master of Science in User Experience and Interaction Design from the Kanbar College of Design, Engineering, and Commerce. It’s an 18-month to 2-year program focused on UX Design, one that may set new standards for the field, for students who are ready to invest in the future of computing. Celebrating the 50th anniversary of their founding, the University of Maryland, Baltimore County is a U.S. News & World Report up-and-coming and most innovative university, as well as one of the most respected institutions in Maryland. UMBC’s focus is primarily on research and engineering, and is home to the first university research park in Maryland. The Department of Information Systems offers a Master of Science in Human-Centered Computing, a 30-credit program that also draws on the Visual Arts Department for interdisciplinary coursework. UMBC is a value university that is sure to continue increasing in reputation. Neck-and-neck with Arizona State University for the largest student body in the US, the University of Central Florida draws students from world-wide with a perfect mixture of affordability and excellence. Originally founded to educate employees for Kennedy Space Center and Cape Canaveral, it should come as no surprise that UCF’s engineering and computing programs are top of the line and geared toward innovation and experiment. Students seeking an MS in Computer Science have access to the Virtual Reality and HCI lab, as well as an optional specialization in Entertainment Engineering (which draws on many of the same skills). Mississippi State University, in Starksville, MS, is one of the most respected public research institutions in the Deep South, regularly cited as a best value and a social-mobility facilitator, bringing education and advancement to an area that has historically been left behind by progress. The MSU Department of Computer Science & Engineering offers a MS program in Computer Science that provides students with freedom to study some of the most advanced ideas in the field, including HCI and Robotics through the Social, Therapeutic, and Robotic Systems lab. Few universities in the Deep South offer this kind of study, making Mississippi State a value with no equal. 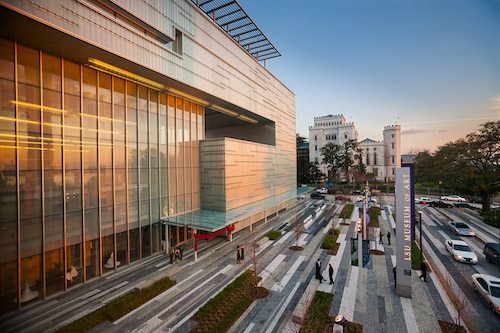 A land, sea, and space-grant university in Baton Rouge, LA, applied technology and engineering have been at the heart of Louisiana State University’s mission since its founding. Today, keeping up with technology of course means computing, and LSU’s College of Engineering is one of the best in the south, including the Division of Computer Science and Engineering. LSU’s MDMAE in Digital Media Arts & Engineering includes specialization in one of five areas, one of which is Digital Media, which includes Human-Computer Interaction. Students have a lot of latitude to determine their research interests, something prospective UX Designers will appreciate. 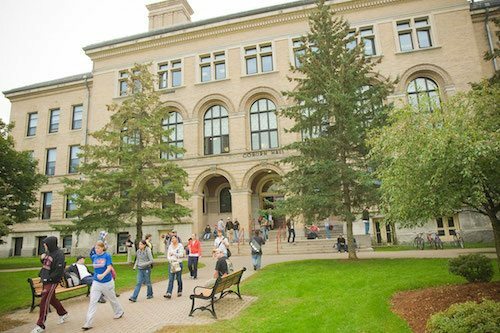 Most people still think of Amherst when they think of UMass, but the University of Massachusetts -Lowell has been steadily rising in U.S. News & World Report rankings and sneaking up on its flagship in enrollment as more students realize the combination of affordability and quality Lowell offers. Long considered underrated, UMass Lowell has a high ROI and a slate of top-tier programs, especially from the College of Sciences, which offers a graduate certificate in Human-Computer Interaction from the Computer Science Department. The certification can be earned on its own (for working professionals who already have a degree and want to increase their credentials), or as part of an MS in Computer Science. 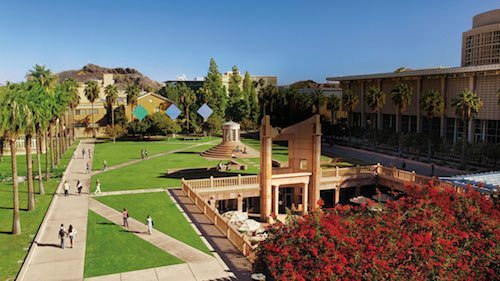 The largest student body in America must be doing something right, and Arizona State University’s growth in size and reputation over recent years has been a testament to its balance of low tuition and excellent quality. ASU, in fact, is U.S. News & World Report’s most innovative university in the nation. The Fulton College of Engineering, in particular, has received numerous accolades and has risen to become one of the most respected schools of its kind, and its Human Systems Engineering is a model interdisciplinary program. Students can earn a Master of Science in Applied Psychology, an unusual title for a program that educates students in the best practices in human factors, user-centered design, and more. As the only land-grant, public research university designated a Hispanic-serving institution by the federal government, New Mexico State University is charged with bringing education to a new generation of Americans. But that’s only one aspect of NMSU’s innovation and role in setting the future of the southwest. NMSU is preparing students for the future of work, with programs like the Master’s in Experimental Psychology, which offers a specialization in Engineering Psychology – human-centered engineering from another perspective. NMSU’s foresight has made it a best value to watch. 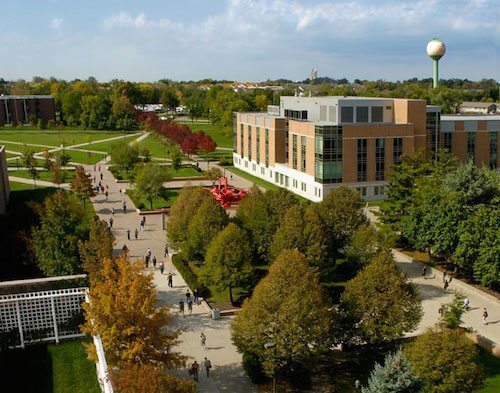 Recognizing the need for an urban research university in Indianapolis, IN, Indiana University and Purdue University joined forces in the 1970s to found IUPUI, a major research institution drawing from both systems to provide the best, most cutting-edge education possible. 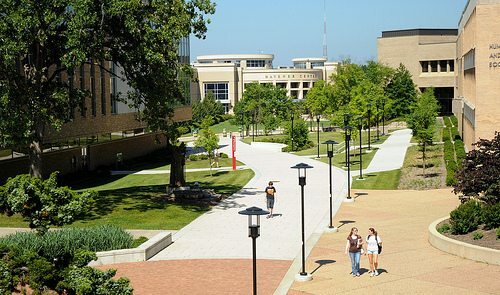 A U.S. News & World Report up-and-coming university IUPUI focuses on professional education – medicine, science, engineering, and business – and the MS in Human-Computer Interaction uses an interdisciplinary approach that provides graduate students with knowledge from across the university. Long considered a top value, IUPUI’s HCI MS is a degree to consider. 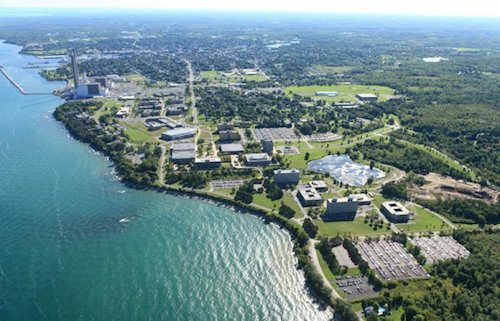 Originally founded as a normal school (teacher’s college), SUNY Oswego was a pioneer from the very beginning, teaching a radical new methodology that became known as the Oswego Movement (emphasizing learning by doing over memorization). Today, Oswego is still not afraid to shake up the program with innovative, fresh ideas, as attested by their Human Computer Interaction program, which combines visual arts, robotics, and other fields into a powerful interdisciplinary study. Low state university pricing and the strong reputation of the SUNY system make SUNY Oswego a program to watch. As Colorado’s land-grant university, Colorado State’s mission is to bring education to the people of Colorado. They’ve accomplished that with flying colors, recognized as a best in the west by the Princeton Review, a top research institution by the National Science Foundation, and a top 100 public university by U.S. News & World Report. CSU’s Computer Science department offers a Master of Science degree with an emphasis in Human-Computer Interaction, focusing on using human factors to improve user experience. 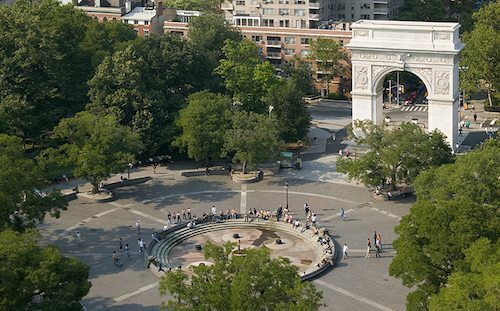 NYU, of course, is one of the most prestigious universities in the world, one of the few private universities that outshines the Ivy League in many areas, such as wealthiest alumni, most award winning alumni and faculty, and highest research budgets. So it’s not surprising that NYU runs one of the most exciting and pace-setting research centers in the Brooklyn Experimental Media Center, or that they offer a degree in Integrated Digital Media that is a model for other schools. The IDM can be earned as an MS degree, or a combined BS/MS for students just starting out. In either case, the prestige of an NYU degree is worth its weight in gold. Pratt Institute is rightfully legendary for their architecture, art and design, and other programs. Located in Brooklyn and Manhattan, Pratt has not only educated some of the most creative people in the 20th century, but has had a major impact on the look and feel of the city through their aesthetic influence. Graduate students at Pratt can earn one of the few UX-centered degree programs as a Master of Science in Information Experience Design (a brand new, cutting edge program that pulls together UX, HCI, and Information Science), an Advanced Certificate in User Experience, or as a combination with either the MS in Library and Information Science or the MS in Museums and Digital Culture or the MS in Data Analytics and Visualization. Like NYU, the value of a degree from Pratt is self-evident. The flagship of the UO system, the University of Oregon, in Eugene, OR, is one of the top-ranked public research institutions in the Pacific Northwest. The Department of Computer and Information Science offers both MS and MA degrees, with specializations occurring in organized clusters of courses, including User Interfaces. In reputation-based rankings U of O is regularly cited as one of the most loved schools in the nation, a testament to the powerful loyalty it inspires in alumni, one of the factors that makes the University of Oregon a top 50 value. Named for local heroes, the Wright brothers, Wright State University has had applied sciences and engineering built into its DNA since it was founded on land donated by the Wright-Patterson Air Force Base. Wright State’s College of Engineering and Computer Science offers an exceptional Master of Science in Industrial and Human Factors Engineering, a degree program in which students can also specialize in Human-System Integration or Ergonomic Engineering. A top-quality school that specializes in the highest of high-tech, in a mid-sized public university, is a solid value for future UX Designers. Minnesota’s flagship university, the University of Minnesota – Twin Cities (Minneapolis-St. Paul) has one of the largest student bodies in the US, drawn by the most respected institution in Minnesota. UM’s Department of Computer Science and Engineering has received accolades from Microsoft and Scientist Magazine for their impressive research. Master’s students can work with the Human-Computer Interaction research group while earning an MS in Computer Science (a thesis/capstone program) or a Master of Computer Science (a coursework-only plan). UM’s tuition and reputation make it one of the best deals in the frosty north! 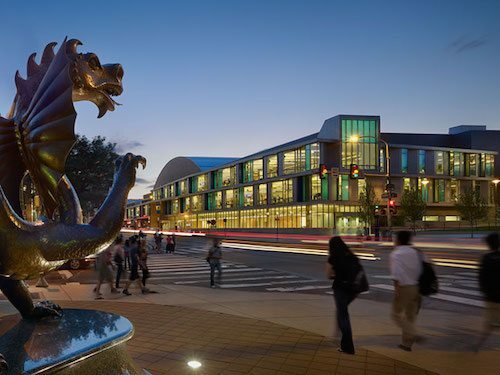 Long ranked as a top-tier university, Drexel University, in Philadelphia, PA, is considered one of the most innovative institutions in the US due to its pioneering cooperative education program, in which students alternate coursework and professional employment. Drexel’s College of Computing and Informatics offers several Master of Science degrees that could work within their interdisciplinary Human-Centered Computing research group. Drexel’s state-of-the-art Advanced Interaction Research Lab is a collaboration between the College of Computing and Informatics and the School of Biomedical Engineering, Science & Health Systems. Graduate students have the opportunity to take part in groundbreaking research, an incalculable value. 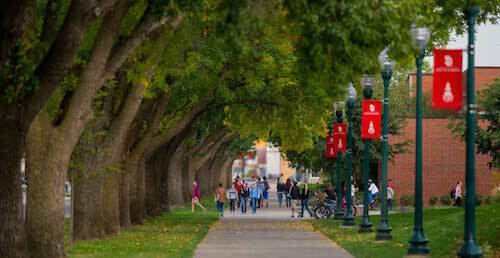 Pre-dating South Dakota’s statehood, the University of South Dakota is the foremost research university in the Dakotas, leading intellectual and scholarly life in the region from the beautifully-named, small college town of Vermillion, SD. The College of Graduate Studies offers a Master of Science in Computer Science with an option to choose a specialization in Human-Computer Interaction. SDS produces more than half of the graduate degrees in the Dakotas, a compelling sign of the reputation South Dakota State holds in the region. 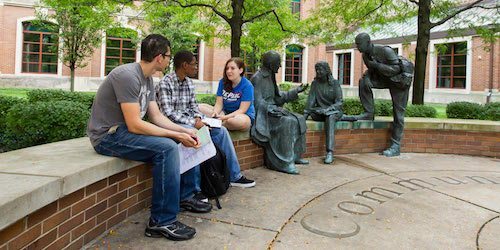 The largest Catholic university in the US, DePaul University, in Chicago, IL, is also one of the most respected private research universities in the world, and DePaul’s commitment to reaching out to underprivileged and first-generation students has made it a major force in social mobility for the Illinois and Midwest region. DePaul’s College of Computing and Digital Media is especially renowned, as the alma mater of nearly half of Illinois’s information tech graduates and home to one of the oldest dedicated Human-Computer Interaction master’s degrees in the nation (begun the same year as MIT’s). 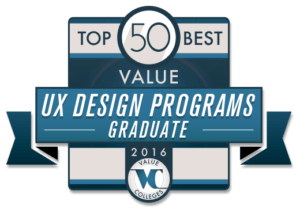 DePaul’s reputation for excellence and forward-thinking make it a top value, rounding out the top 50 Best Value in UX Design.